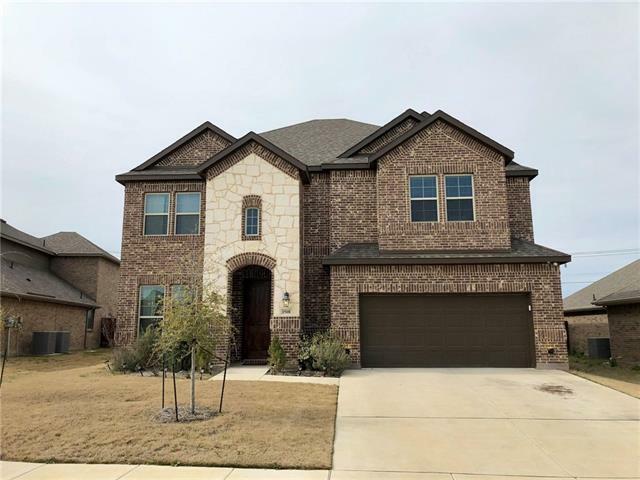 All Crowley homes currently listed for sale in Crowley as of 04/24/2019 are shown below. You can change the search criteria at any time by pressing the 'Change Search' button below. 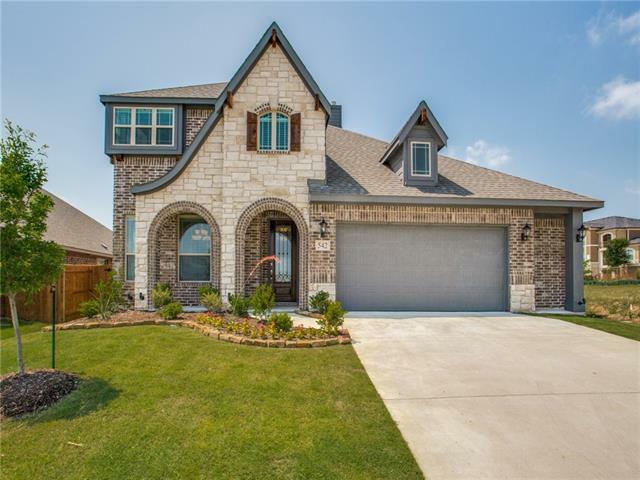 If you have any questions or you would like more information about any Crowley homes for sale or other Crowley real estate, please contact us and one of our knowledgeable Crowley REALTORS® would be pleased to assist you. "Everything your heart desires all on one acre of land!Beautiful & well maintained 4 bed,3.5 bath home with 3 living areas,2 dining areas,updated kitchen with granite counters,large laundry room,split bedroom concept, beautiful paint colors & flooring.PLUS--Wonderful in-ground gunite pool with attached spa.PLUS--Guest House that doubles as a pool house.Move mom in and she'll have a great pool view.PLUS--2600 SqFt workshop with offices & bathroom.Run your business from home!PLUS--RV Parking & Conn"
"AMAZING HOME on 2.37 acres! Home features a gigantic den with a wood burning FP for a large family or for entertaining! Very spacious kitchen with granite countertops, pull out drawers, dbl oven, and two pantries! Fabulous master suite with beautiful tile and granite, and a sitting area or office to the side! Two other large bedrooms downstairs, and three more bedrooms upstairs, two with private baths! Features a second den or gameroom upstairs! Lots of wood throughout the home for that custom f"
"OVER FOUR ACRES! Bring your horses and sit on your large back porch overlooking your land. Just in time to enjoy summer in the above ground pool. This home features beautiful updated kitchen with granite counter tops, walk in pantry and eat in bar. Master on first level doesn't disappoint with walk in shower. Upstairs are 4 bedrooms with a large living area. Open concept kitchen into the living area. No lack of room with this home. 2 front rooms on first floor can be used as dining and media or "
"This gorgeous custom home offers a 3 bedrooms, 3 full baths and 3 car garage. It will take your breath-away! From the elegant elevation to the style of roof! The home has a study, formal dinning and a game room with a wet bar. The beautiful entrance leads into the spacious Great Room with stunning wall windows. The glamorous kitchen offers a gorgeous marble tops, stainless steel appliances, a work island, pantry and Butler's Pantry. Split bedroom floor plan with a Jack n Jill bathroom. Master s"
"Custom built on 2 acres for comfortable country living. No HOA. Joshua ISD. Perfect for large family or entertaining, plenty of room for everyone inside and out. Great for multigenerational families with split bedroom arrangement. Single story plan features 5 bedrooms, with formals and huge study. Gorgeous open kitchen features granite counter-tops, island workstation and bar, built in dining table make cooking for a crowd a breeze. 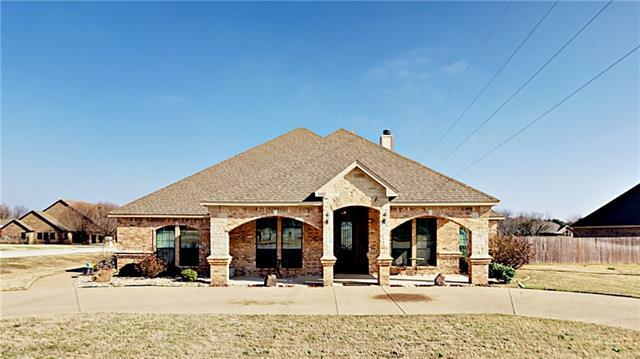 Large covered front and back porches for outdoor entertainment"
"New Single Story, custom home in the popular community of Chriswood, off the Chisholm Trail! Granite and quartz counter tops in the kitchen, abundant cabinetry, hand scraped wood floors, foam insulation and custom trim work. 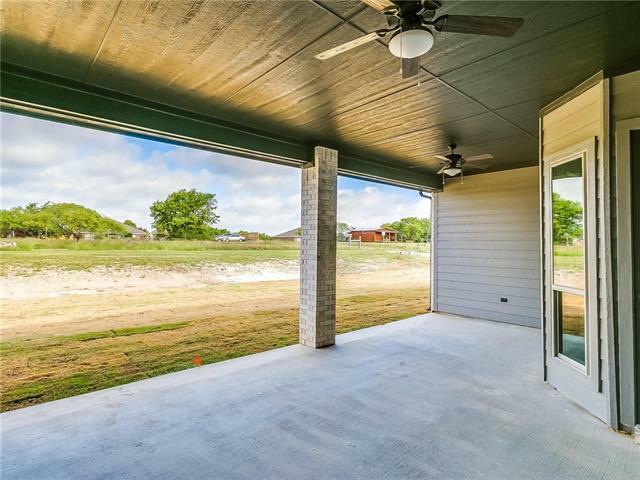 Over sized covered patio overlooks a 1 acre lot! Large walk in master shower, separate tub and huge master closet. Access to large laundry room off master closet along with an entry rear 3 car garage and mudroom. 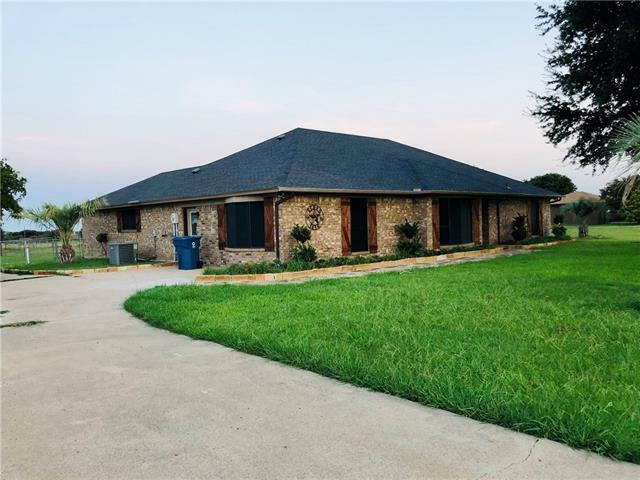 4 bedrooms, 2 living and a formal dining that could also be a "
"Beautiful freshly painted Georgian home on .42 tree covered acres. New laminate flooring, fencing,newer appliances and so much more. Master bedroom located downstairs with his and her walk-in closets. Second master bedroom upstairs with attached bath and walk-in closet. A back garden oasis surrounded with fruit and flowering trees featuring a salt water pool with hot tub and waterfall Storage Building with power and AC. 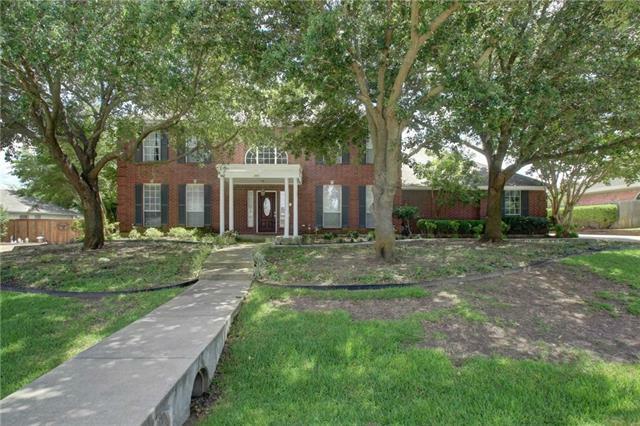 Conveniently located 4 minutes from the Chisolm tollway. Electric vehicle "
"WELCOME HOME to a .5 acre! This immaculate 4 bedrooms, 3 bathrooms utilizes its square footage precisely. Each bedroom has an attached bathroom. Large walk in closet space in each room. His and her master bedroom closets, his leads to the laundry room and mud room. Huge, decorative walk in master shower. Vaulted ceilings. Large island in kitchen that opens towards the living room. Wood built-in's surround the stone decorated fireplace. Formal dining or could be utilized as a flex room. 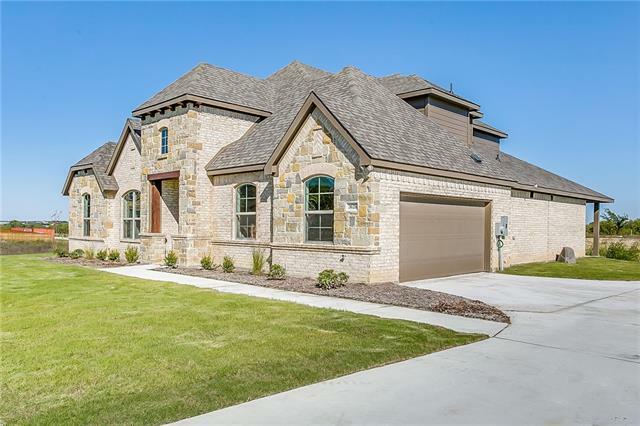 High grad"
"NEW JOHN HOUSTON CUSTOM HOME IN LAURENWOOD ESTATES. 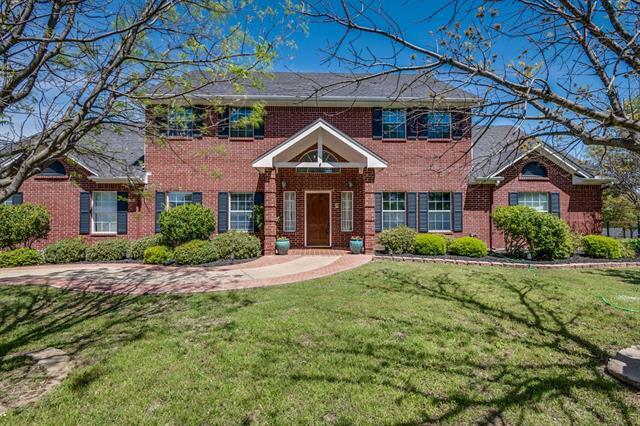 This new custom 2 story home sits atop a one-acre lot in a peaceful country setting. 4 full bedrooms, 2 full bathrooms, an upstairs game room with a half bath, an open spacious kitchen with custom wood knotty alder cabinets, and a spacious granite island open to a family room with a corner wood burning fireplace." "NEW JOHN HOUSTON CUSTOM HOME IN LAURENWOOD ON 1 ACRE! 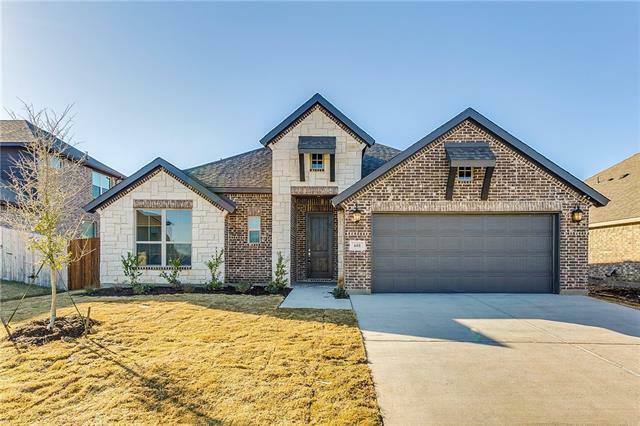 This 4 bedroom, 2 and half bathroom home features an extended covered patio, a 3 car side-entry garage, and an upstairs game room with a powder bath just minutes from the Chisholm Trail Parkway. Stainless steel appliances, a custom wood hood, and granite counters in the kitchen, engineered wood floors and rounded corners in the main living areas, a spacious master closet off the master bathroom, built-in fireplace, custom touches throughout m"
"Beautiful farm house ready for your horses. Metal front door, custom kitchen cabinets, just a beauty. Bring your picky buyers. Located close to toll way but with a country feel." 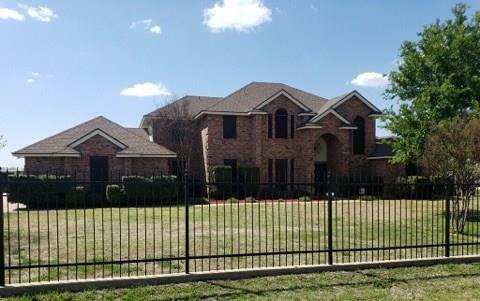 "Check out this stunning John Houston Custom Home situated in Crestview Estates! 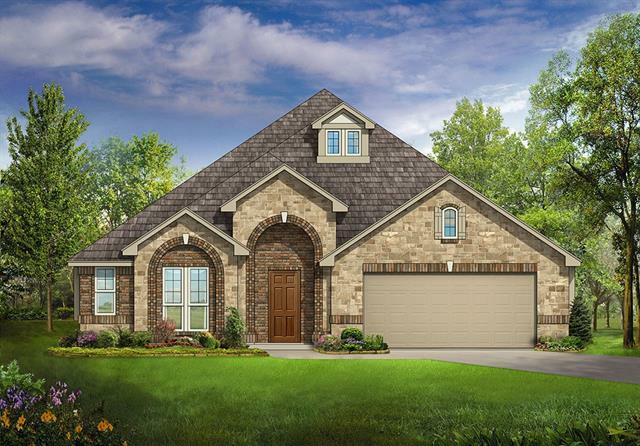 This beautiful Sacramento floor plan is located in Burleson ISD and has a great neighborhood. Upon entering you will be wowed by the winding stairs and vaulted ceilings. This home boasts of 2 dining areas, Study to the left upon entering, formal living area, family den with large Media room upstairs. Enjoy the upgraded granite counters in kitchen with oak cabinets, beautiful crown molding throughout, spacious master "
"100% Turn Key! Why wait to build? when you can move in now with ALL the amazing upgrades and more! Bring your family to create beautiful memories in this Grand Home. This 5 bedroom, 3 bath, 3 living room, with an oversized garage will satisfy all needs of a large family. Beautiful Granite countertops throughout the home is a great touch, as well as the soaring vaulted ceiling. Come out and take a look for yourself!" 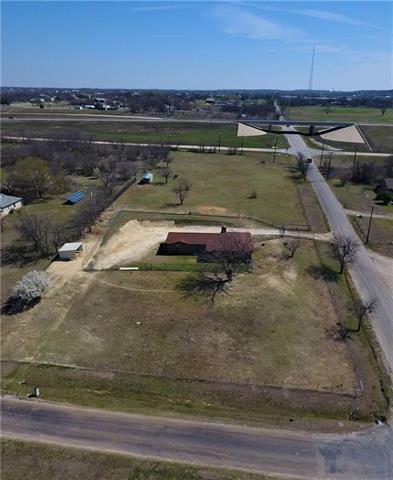 "This home is a corner of Chisholm Trail Toll Way and corner of CR 920. Approximately 2.11 acres House is in great condition and currently leased for $1800.00 a month. Located near Tarleton s new campus. This property could be zoned for single family, commercial, multi family! The property has an area with electricity to park a small RV. Buyer to verify all information. Seller does not have survey. Buyer is to purchase new survey. Bring your horses!" "NEW BLOOMFIELD HOME Ready Spring 2019! 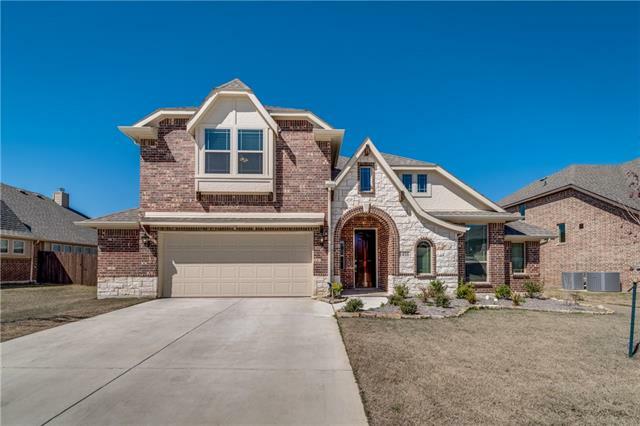 This 5 bed, 3.5 bath home features a stunning brick and stone exterior; 8 foot mahogany front door with glass and iron; gourmet Kitchen with ss appliances including double oven, upgraded granite counters, subway backsplash, custom cabinets, under cabinet lights and island; HARDWOOD flooring in main living and traffic areas; Master Suite with walk-in closet, quartz counters, garden tub and separate shower; FIREPLACE with stone subway tile surround; Jack N Ji"
"NEW BLOOMFIELD HOME Ready Spring 2019! 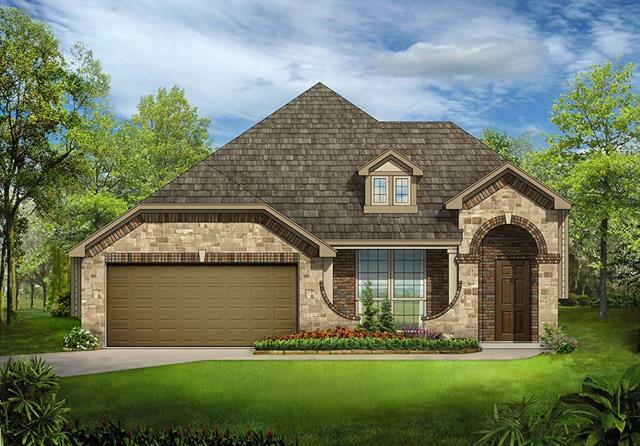 This open floor plan features 4 beds, 3 baths, and an array of upgrades! Wood-look tile in main living and traffic areas; 8 foot Mahogany front door with glass and iron; Master Suite with walk-in closet, dual sinks, garden tub and separate shower; Deluxe kitchen with ss appliances, QUARTZ counters, subway backsplash, farmhouse sink, and custom cabinets; FIREPLACE with tile surround to ceiling in the Family Room. It's all in the details: Upgraded floor tile "
"Bring your horses to an exclusive equestrian community, complete with riding trails! Sitting comfortably inside this gated community, you'll find this lovely home has so much to offer. A well designed, massive kitchen boasts industrial sized stove and ample storage, and opens to the beautiful living room, offering built ins, hardwood floors & cozy fireplace for those chilly evenings. 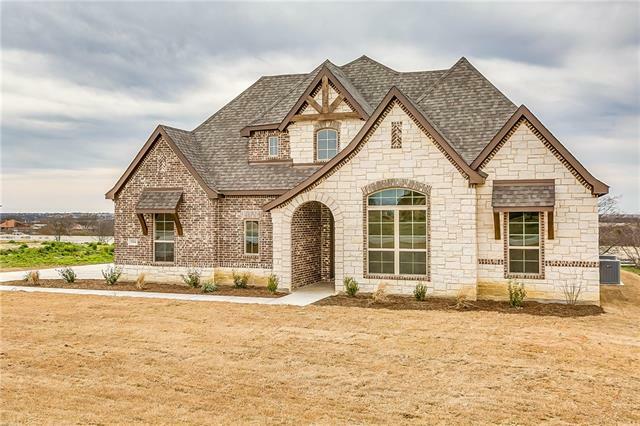 The impressive master suite leads to a spa like master bath with its own oversized jetted tub and dual headed sho"
"BRAND NEW JOHN HOUSTON CUSTOM HOME IN BURLESON ISD! 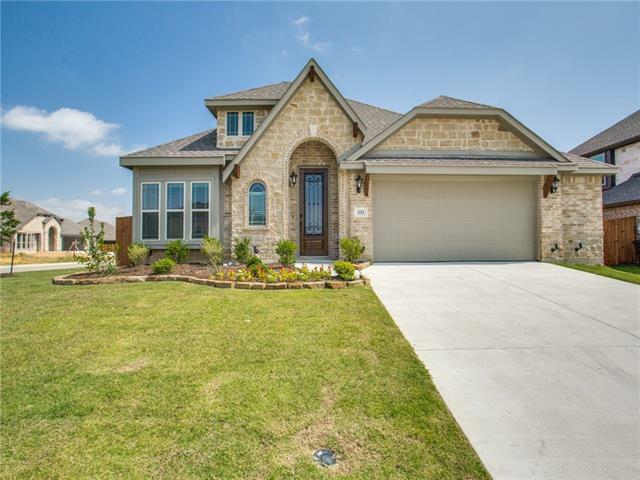 This gorgeous 4-bedroom 2 and half bath home features a large utility room, upstairs bonus room with a half bath and a nice covered patio. 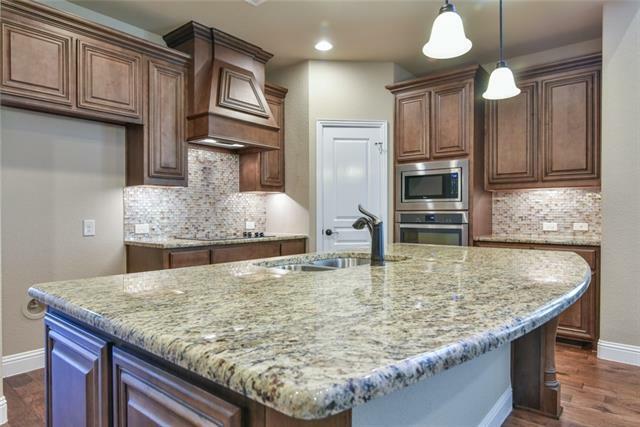 Granite counters and stainless steel appliances punctuate this beautiful kitchen. Engineered hardwood floors in the main living areas and rounded corners in all presentation areas. Custom touches throughout." "SELLER TO CONTRIBUTE $3000 TOWARDS CLOSING COSTS PROVIDED CLOSING AND FUNDING ARE COMPLETED BY MAY 31, 2019. 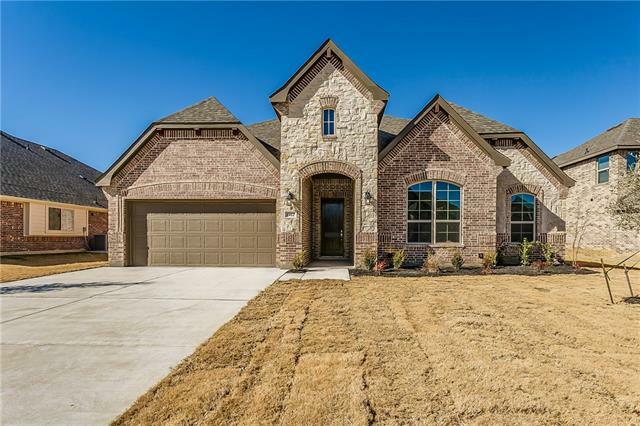 BUILT TO BE A MODEL, BEAUTIFULLY APPOINTED, GREAT VALUE, 2 MASTER SUITES 1 DOWNSTAIRS & 1 UPSTAIRS, OPEN FLEXIBLE FLOOR PLAN SUPPORTS MULTI GENERATIONAL LIVING, GAMEROOM W WETBAR, HUGE 2 & ONE HALF CAR GARAGE, EXTENDED COVERED PATIO, BURLESON ISD. This pristine gem boasts granite, subway tile, wood, spacious rooms, designer neutrals, & a large kitchen that will inspire your inner chef. 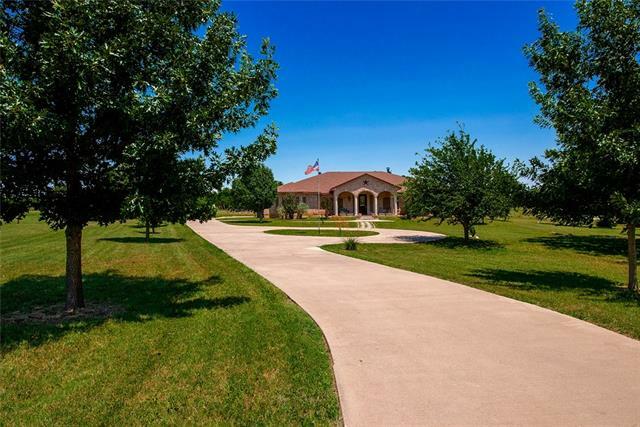 Lo"
"You will absolutely love this single-story custom built home on over half an acre! This plan offers an open flowing layout with privacy where you want it! An extended foyer leads you to a bright open family room. The gorgeous interior features 4 beds; 2.1 baths; custom gourmet kitchen with SS appliances, granite counters, and large pantry. Enjoy the spacious master suite with his & her walk-in closet, Fireplace in the sitting room, garden tub & large separate shower. 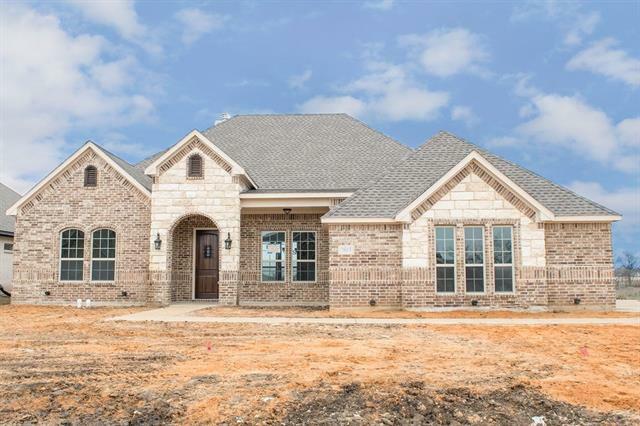 Plenty of outside space to b"
"Get ready to fall in LOVE with this NEW Bloomfield Home located in Crowley, TX! This 4 bed, 3 bath home features a stunning Mahogany front door with glass and iron as well as a 2.5 car garage. Wood Tile flooring- all of the beauty of wood without the maintenance - in main living & traffic areas. 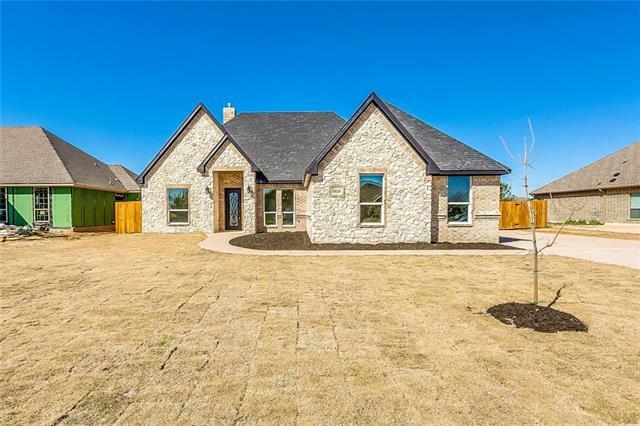 Farmhouse kitchen sink with buffet cabinet, walk-in pantry, pendant lights over the island; 2 inch faux wood blinds, Large Master BR with sitting room, walk-in closet, dual sinks, garden tub and separat"
"NEW BLOOMFIELD HOME Ready Spring 2019! This 4 bed, 3 bath home features a stunning stone exterior; 8 foot mahogany front door with glass and iron, Deluxe Kitchen with built-in ss appliances, buffet, upgraded custom cabinets with wood hood, mosaic tile backsplash, pendent and under cabinet lights, trash drawer, granite counters and island; Wood-look tile in main living areas- all the beauty of wood without the maintenance! Dining Room; Upstairs Game Room; Upgraded tile and carpet; quartz or grani"
"NEW BLOOMFIELD HOME READY SPRING 2019! This 4 bed, 2 bath home is perfect for families and features a stunning brick and stone exterior; 8 foot mahogany front door with glass and iron; Wood look tile in main living areas; Deluxe Kitchen with ss appliances, QUARTZ counters, upgraded shaker cabinets with wood hood, stone backsplash tile, farmhouse sink, trash drawer and island; vaulted ceiling in breakfast nook and family room; buffet cabinet; Pendant and under cabinet lights; Master Suite with wa"
"NEW JOHN HOUSTON CUSTOM HOME IN CRESTVIEW IN BURLESON ISD. Extended covered patio, oversized master closet, open floor plan. 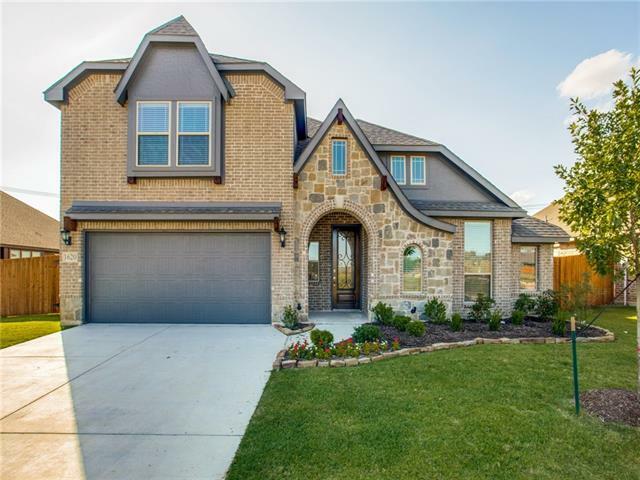 Quartz counters in bathrooms and kitchen, engineered wood floors throughout main living areas, custom cabinets, electric fireplace, elegant touches throughout. READY IN JANUARY."